Theresa May’s speech at Mansion House in London on 2 March 2018 has attracted a torrent of comment. It has been greeted as, on the one hand, shallow and unrealistic and, on the other, as the most thoughtful contribution to the debate offered so far by a member of this government. In truth both descriptions are accurate. I want here to focus on Mrs May’s aspiration to promote “mutual recognition” as a means to manage the future economic partnership she envisages between the EU and the UK. In her portrayal of the treatment of goods after Brexit, Mrs May insists that “both the UK and the EU have a strong commercial interest in preserving integrated supply chains that have built up over forty years”, and she envisages “that trade at the UK-EU border should be as frictionless as possible”. Echoing David Davis’s speech in Vienna on 20 February she wants to “ensure that, as now, products only need to undergo one series of approvals, in one country, to show that they meet the required regulatory standards”. How to achieve these aims and visions? Mrs May declares that “we will need a comprehensive system of mutual recognition”. Much of what passes for “negotiation” on the UK side since the despatch of the Article 50 letter of withdrawal in March 2017 has involved a desire to retain the benefits of EU membership while shrugging off the status and responsibilities of membership. But when Mrs May appeals for “a comprehensive system of mutual recognition” she is going still further. She is not asking for something that applies within the EU. She is asking for something that even EU Member States do not expect of each other. A “comprehensive system of mutual recognition” is not found within the EU. Mrs May is asking that the UK be treated better than a Member State of the EU. Mutual recognition in primary EU law is most prominently found in the area of free movement of goods, persons and services, but it is not absolute mutual recognition. Instead it is conditional or non-absolute mutual recognition. That means that where something is good enough for the market of one Member State, it is to be treated as good enough for the market of all the other Member States – unless the target (or host) State can show a good reason why it should be entitled to rely on its stricter standards to exclude something that is acceptable elsewhere in the EU. The reservation unless is structurally crucial in the law of the EU’s internal market. A State is not inevitably obliged to open up its market to a product or service which does not conform with local laws. It may appeal to its tougher standards of health protection, its more assiduous concern for consumer protection or its particular fastidiousness in the area of environmental protection – and it will need to be judged, ultimately by a Court, whether the State has a strong enough justification of this type to place obstructions in the way of the impulse towards market integration. National rules, practices and standards that impede inter-state trade are in this way routinely put to the test. Protectionism and reliance on anachronistic rules that have no place in an integrated European market will fail the test and such objectionable rules must then be disapplied. But there is room for sincerely and well-targeted measures to pass the test, and to remain in force as non-tariff barriers to trade which serve an interest that is shown to rank higher than trade liberalisation. This is plain from the Treaty on the Functioning of the European Union, which does not impose an unconditional rule of freed cross-border trade, and it is embedded too in the Court’s famous elaboration of the basic Treaty norms governing free movement, its Cassis de Dijon principle, which equally imposes only a conditional or non-absolute requirement of mutual recognition in the EU internal market. So primary EU law imposes something less than the “comprehensive system of mutual recognition” to which Mrs May aspires. If she imagines that the EU will agree automatically to admit UK goods and services into its internal market simply because those goods and services comply with UK law, then she is imagining a model which is not even available within the EU. And it is utterly unrealistic to imagine it will be on offer to a third country. Mutual recognition also deserves assessment at the level of EU secondary legislation – the vast number of measures, most of them Directives but some of them Regulations, which provide the legislative platform on which is built the EU’s internal market. The EU’s Treaty rules on free movement combine with the legislative acquis on harmonisation within the internal market and on the regulation of particular sectors to produce a dense and intricate network of rules which reflect the liberalisation of markets within the EU but also the regulation of those markets by the EU. But there is no “comprehensive system of mutual recognition” here – at least not in the shallow description offered by Mrs May. The point of these rules is to establish EU rules, which are then implemented at national level. This generates a common system apt to release the advantages of an integrated trading space that transcends the limits of national political boundaries. On this model Member States regulate in order to achieve the same agreed common purposes – they do not show mutual recognition of each other’s different choices and techniques. Across the whole wide sweep of EU rule-making there is a common core of agreed EU standards, which all participants must meet. Moreover, the application of those rules is secured within tightly defined institutional and constitutional constraints. The EU is not simply a system of rules, it is a system too that involves the oversight of the Commission, the place of sector-specific agencies, the authority of the Court of Justice and the everyday involvement of national courts and administrative agencies. Rules – but also supervision, administrative co-operation, interpretation and enforcement too. There is, of course, detailed sectoral variation, both in the particular intensity and shape of the rules adopted by the EU and in the scope permitted for State action even in areas where the EU has intervened. But the general picture is plain. Whether one is looking at the authorisation of medicines or the prohibition of unfair common commercial practices, the regulation of professional qualifications or the administration of the European Arrest Warrant, working time or environmental impact assessment, the model is visibly similar – there is a common foundation of EU rules on which all the Member States rely, and this is supported by a dense institutional network. This is not unconditional mutual recognition of difference. It is managed mutual recognition of carefully circumscribed difference. It is remote from Mrs May’s “comprehensive system of mutual recognition”. To be fair, awareness of this background is not wholly absent from Mrs May’s speech. She speaks of commitments that UK and EU regulatory standards would remain “substantially similar in the future”; she adds that the UK might “remain part of EU agencies such as those that are critical for the chemicals, medicines and aerospace industries”. This jars with the frustratingly glib slogan earlier in the speech according to which Mrs May claims that “the referendum … was a vote to take control of our borders, laws and money”, but it might be generously interpreted as an admission that taking back control will require a more sophisticated appreciation of the virtue of multilateral action than the remorselessly unilateral tone of much of the case for Brexit has been hitherto willing to concede. And indeed the speech was reported, perhaps with the impetus of a little behind-the-scenes spin, as mapping a route to a more realistic relationship with the EU than some go-it-alone Brexiters have urged – “May tells Eurospectics to face facts”, proclaimed the lead story on the front page of the Financial Times the day after the speech. More realistic, perhaps – but the problem with the speech was that it was not realistic enough. In part this is because of the persisting contagion of cherry-picking, but the deeper problem of a speech which includes an aspiration to a “comprehensive system of mutual recognition” is that this completely neglects the very nature of the EU. The EU is a rules-plus system. It is based on common rules but also common institutions and common constitutional principles. It is far more intricate than Mrs May allows. Mrs May accepts “the need for binding commitments – for example, we may choose to commit some areas of our regulations like state aid and competition to remaining in step with the EU’s”. Elsewhere she is softer in her promises. The UK will need to make a “strong commitment” that its regulatory standards will remain as high as the EU’s. (Here too the media was evidently briefed on the gap between “binding” and “strong” commitments). In the matter of workers’ rights or the environment, “the EU should be confident that we will not engage in a race to the bottom in the standards and protections we set”. But this is not good enough to generate the trust that constitutes the necessary underpinning of frictionless trade in the internal market! The EU’s model of mutual recognition demands much more, both in the binding character of the rules and in the supporting institutional and constitutional architecture. Failure to accept this necessary starting-point leads Mrs May to embrace unrealistic expectations. On services, she says that “given that UK qualifications are already recognised across the EU and vice versa – it would make sense to continue to recognise each other’s qualifications in the future.” In the matter of transfrontier broadcasting she aspires to “creative options … including mutual recognition”. On financial services “our goal should be to establish the ability to access each other’s markets, based on the UK and EU maintaining the same regulatory outcomes over time”. But the EU’s approach to mutual recognition goes far deeper than mere possession of the same rules. Everything that Mrs May says – about agencies and regulators, about data protection and energy co-operation, about Euratom and transport, about judicial co-operation and science, and so on - assumes a UK that enjoys a high degree of independence from the EU’s rules and especially from its institutions, yet is able to dip in here and there as an associate member according to specially crafted arrangements. But although EU is built on rules and it is built on trust, it is also built on institutional and constitutional frameworks that underpin those rules and verify that trust is warranted. This is what the Commission has lately taken to describing as the EU’s “ecosystem”. This is what the EU is determined to defend; this is what the UK has chosen to quit. Mrs May’s speech does not come close to recognising, still less to explaining, the magnitude of the changes that are looming in consequence. Her speech asserts that the UK “will not accept the rights of Canada and the obligations of Norway”, the shabby politician’s trick of rejecting a suggestion that absolutely no one has advanced, but she is perilously close to asking for the obligations of Canada and the rights of Norway. One of the relatively few concrete observations in Mrs May’s speech which looks beyond mutual recognition of rules also to acknowledge the institutional consequences concerns financial services. She notes “the highly regulated nature of financial services, and our shared desire to manage financial stability risks” and so accepts that “we would need a collaborative, objective framework that is reciprocal, mutually agreed, and permanent and therefore reliable for businesses.” Quite so! And this invites the exasperated retort – but that is exactly what you have right now! How illuminating that when, directly after the speech, Mrs May was asked by a journalist whether Brexit is “worth it”, she laughed nervously and said “we won’t think again on Brexit”, and studiously avoided the question. “A collaborative, objective framework that is reciprocal, mutually agreed, and permanent and therefore reliable for businesses” is what the EU delivers. Appeal to the language of “mutual recognition” conceals the density and the intensity of the obligations that are required to generate trade integration on the truly deep and special scale that the EU’s internal market has achieved. Mrs May has belatedly embarked on a journey which accepts that leaving the EU entails difficult choices and unavoidable harm, but she has a long distance to travel yet to come fully to terms with the consequences. If "mutual recognition" means anything along the lines you have stated, how come this is included in the CETA with Canada which doesn't, by the way, include Canada accepting the free movement of people? The CETA deal mentions mutual recognition in three contexts: a) setting a framework only for mutual recognition of qualifications; b) mutual recognition of conformity assessment for the *other party's* regulations, which is quite different from mutual recognition of the regulations themselves; and c) mutual recognition of 'good practice' certifications in pharmaceuticals. Mrs May seemed to be talking about something far more ambitious than this. As Steve has already responded (and as is the main message of my post), you need to look beyond the words "mutual recognition" and examine the scope and the foreseen legislative context and institutional underpinnings. Mrs May's speech imagines that simply replicating the EU's rules - on regulatory standards, on environmental standards, on qualifications, on broadcasting, on financial services, and so on - is enough to secure frictionless trade with the EU, or at least trade that is as frictionless as possible. But it is not. The EU's ecosystem is more demanding. It requires also respect for the system beyond the rules - the institutions, supervision and enforcement, the authority of the Court, and so on. I keep thinking about how many of May's unicorns seek to impose costs and obligation on the EU27. Presumably if we are levying EU tarrifs on goods landed in the UK, then we are expecting the EU to do the same for us and to track those goods from point of entry through to the UK. Well if they wont why would anyone deliver them there? In other words our points of entry prevail? It is not included in CETA. There is an agreement to agree to talk. Maybe. See ch 21 et al. The weakest treaty language I’ve ever seen. one typo - eurospectics = eurosceptics (I assume).. I read the speech as aiming for a brexit that is hard in name but soft in practice. Involving fudge after fudge that give the impression of sovereignty, while retaining the obligations of the past. Surely the EU would not after all be “A collaborative, objective framework that is reciprocal, mutually agreed, and permanent and therefore reliable for businesses” when it comes to sectors where Britain has comparative advantage over EU countries (thinking driverless cars and similar tech for example)? The speech is not aimed at addressing technical issues. It is trying to give an overview of a desired outcome with some ideas for exploring. She did say that neither side will get all that they want. But of course the EU would want a Canada type deal because they have a huge trade surplus in goods. For us to agree to that, we need something on services. Otherwise we may well just go ahead for a WTO deal. It's not simply a question of a trade surplus or deficit. A far bigger *percentage* of the UK's goods exports go to the EU27 than the other way around. Another metropolitan elite liberal left wing (marxist?) academic expert pours scorn and derision (even after the Right Honourable Michael Gove warned the nation that “people in this country have had enough of experts”) on the brilliant, illuminating, unifying speech, exemplifying the will of the people, from our most glorious, hard working, and patriotic (even saintly) Prime Minister Theresa May who is striving to give the nation a red, white, and blue Brexit that will be a titanic success, while still maintaining a special, deep and meaningful relationship with all those obnoxious ungrateful foreigners subsisting on the other side of the English Channel, that we either defeated (the Huns) or liberated (the Belgians and the French) in two world wars (not for the purpose of enslavement by the EUSSR Brussel bureaucrats). 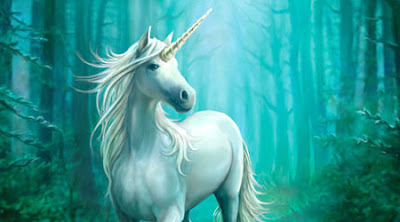 Once the UK is independent and cast off its EU shackles, I can guarantee you, that Prime Minister May in her glorious triumph will indeed ensure that unicorns once again will roam the land, no longer banned by a Brussel diktat. Of course you are joking, anonymous, otherwise you can't visit normal physicians/dentists or fly with licensed pilots. You forgot to mention us escaping from under the "Jacques Boot" of EU oppression. You have ticked every box on my Brexit Buzzword Bingo card. Splendid effort! "Another metropolitan elite liberal left wing (marxist?) academic expert"
is it possible that Professor Weatherill is rather annoyed that the EU gravy train to which the UK has been saddled for so long is going to be cut free, thereby depriving him of the income he has earned for so many years making sense of the incomprehensible - namely the interaction between UK law and EU law. Soon Mr Weatherill we will be making our own laws again, and high time! And by the by, I love travelling to other European countries, and I love most of my fellow Europeans. Is it possible that you have no substantive argument, so resort to an ad hominem claim that you don't even attempt to substantiate? Most academics are paid primarily by the universities and colleges they work for. Why are ardent Brexiteers such cowards? This a discourse of very well versed people about the subject matter. The author has done an incredible job simplifying the issue in my opinion. Theresa May has set expectations very high with this speech. Although, most of the public won't be aware of it, with bulletins dominated by the 'beast from the east' and storm Emma. High expectations could bring the Government down. It is unlikely the UK will achieve a bargain anywhere near what has been outlined by the Government. The compromise will be unpopular with MP's and the public. If Parliament vote against the Brexit deal, then Mr Corbyn may end up in Number 10 and what happens after that is anyone's guess. Thank you for such an interesting piece. I don't see, possibly due to my own ignorance, at what point in her speech Theresa May requested 'unconditional' mutual recognition. 'If the Parliament of the day decided not to achieve the same outcomes as EU law, it would be in the knowledge that there may be consequences for our market access. As I understand it, May said she envisages mutual recognition *unless* the UK (or also, presumably, the EU) chose to diverge. That suggests that the condition for recognition isn't, as you say, 'simply because those goods and services comply with UK law,'.Rather, the condition is that UK/EU goods and services meet, in their own way, the outcomes agreed as desirable by the EU and UK. Where it is contested that goods and services meet the agreed desired outcome, she proposes an independent arbitration mechanism. Nothing about this is unconditional. And given that May's proposed 'comprehensive mutual recognition' couldn't possibly grant the enforceable, certain right to trade that comes with compliance with single market rules, why do you say she proposes a better third-country deal than a member state could enjoy? You mean like the ECJ? That arbitration body she herself needlessly ruled out? Well, look at it from the EU27 perspective: If we gave you 'mutual recognition', we would allow extra-territorial law to apply in the EU. We would essentially need the UK's permission/independent arbitration to withdraw recognition if the arrangement was mutual. That is, you would have a say over what kind of goods were placed on our markets without us having the same recourse to the tools we have against unfair competition or substandard goods as we have in the EU. Starting with the individual's right eventually to take issues to the ECJ continuing to the right of the EU imposing harmonisation on competition distorting issues. No EU member state is going to sign up to that. Their voters would kill them. Imagine asking the same from the US. What do you think the US Congress would say? So, in reality, what she is speaking about is EEA membership without EEA obligations and judicial and enforcement structures. Not going to fly. If we gave it to the UK, we would need to give it to Norway and Switzerland. Worse, if we gave it to you as a part of a regular FTA, we would need to give it to Canada, Japan, South Korea etc., because of the WTO Most Favoured Nation clause. Do you think that we are going to spend the next 20 years renegotiating the whole EU-nonEU agreement structure instead of focusing on the more pressing problems of our own making? So, no, not going to happen. The EU27 have actually said this already when the Council and EU the Parliament said that they will maintain regulatory independence and guard the integrity of the single market and maintain a level playing field among third-countries, in case you have not read in-between the lines. And the Parliament stated clearly that there was not going to be any membership of EU regulatory agencies or databases, but cooperation in fields that are already open for third-countries, that is, not the same thing as the level of cooperation Switzerland and EEA countries have. But as the EU27 have maintained: you are free to change your red lines and go for the Norway option or for the Customs Union. You are also welcomed back as a full member should you decide to do so before March 29th 2019. We are sad to see you go, but we are not going to wreck the EU and surrender our legislative sovereignty to a third-country via this 'arbitration panel' so that you won't have to take responsibility for your own choices. And I am sorry to be blunt, but somebody has to tell it like it is.